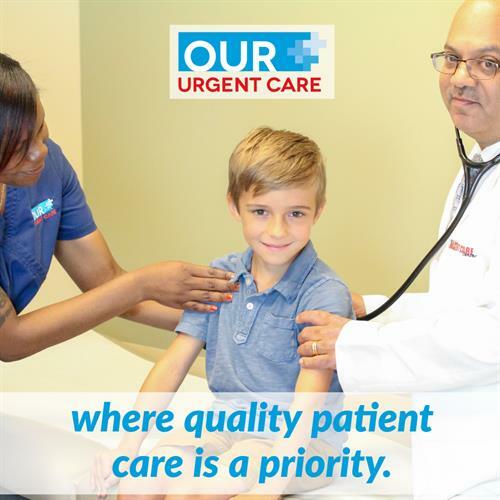 Our Urgent Care is a full service walk-in medical clinic, designed to meet your urgent medical needs. Open everyday from 8am to 8pm, Our Urgent Care provides prompt and friendly service to our 5 local communities. We know illness and injury don’t know a schedule, and we believe that excellent healthcare should be affordable, quick and efficient.